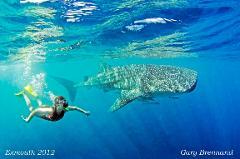 Deluxe Whaleshark Swim Tour aboard MV MAHI 2 (2 of 2 Boats Available). Spend the day swimming with Whalesharks on the Ningaloo Reef with our fantastic crew on board one of our spacious and stable vessels. 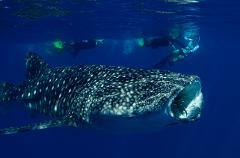 Our Whaleshark Swims are an experience that will make you the envy of your friends! Deluxe Whaleshark Swim Tour aboard MV JAZZ 2 (1 of 2 Boats available). Spend the day swimming with Whalesharks on the Ningaloo Reef with our fantastic crew onboard one of our spacious and stable vessels. Our Whaleshark Swims are an experience that will make you the envy of your friends! 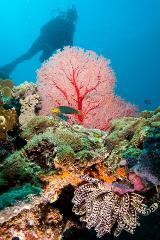 A full day tour on the water exploring this world heritage area famed for gorgeous colourful soft corals. This is a great tour for snorkelers and divers of all levels who can enjoy the diversity of marine life, from macro to wide angle. 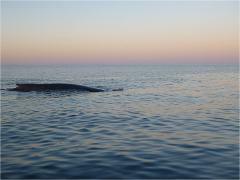 Join us on an exciting whale swim & watching tour. We spend time observing these incredible creatures and give our swim guests an amazing in-water interaction when the whales are displaying their relaxed behaviours. Includes a Guarantee. 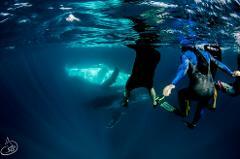 Sit back for a joyride as we travel to our snorkel sites around the Ningaloo area. 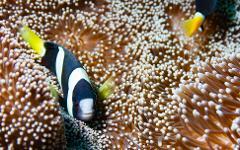 We get to snorkel with gorgeous colourful fish and corals. Then we venture out to look for mantas from the deck of our big stable boats. Sit back for a joyride as we travel to our snorkel site around the Ningaloo area. We get to snorkel with gorgeous colourful fish and corals. 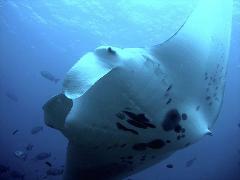 Then we venture out to look for mantas from the deck of our big stable boats. 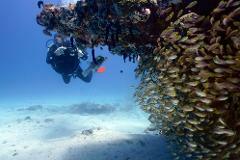 All divers must have a logged dive within the past 12 months to participate on our diving tours. If you do not have a recent dive, it’s a good idea to complete a refresher with us before heading out on the ocean dives. Relax and enjoy the ride on one of our big stable boats as we travel from Exmouth Marina on the calm waters to watch Humpback Whales in the Gulf, where huge numbers of relaxing Whales frolic. Enjoy the Sunset over the Cape Range. Relax and enjoy the ride on one of our big stable boats as we travel from Exmouth Marina on the calm waters to watch Humpback Whales in the Gulf, where huge numbers of relaxing Whales frolic.